After successfully launching the pilot program in Cleveland, Ohio, Blockbuster Video's Gamefly-challenging Games By Mail rental service expands into the Seattle area. Announced in February of this year, Blockbuster's Games By Mail program is an extension of the company's Total Access movies by mail service. Competing with Gamefly the same way Total Access competes with Netflix. Now Seattle area Blockbuster Online customers can opt into the games service, which allows them to rent any number of games, 1 out at a time, for $7.99 per month. "We know our customers in Seattle love games, so we're excited to expand our Games By Mail pilot to include this market," said Keith Morrow, Blockbuster CIO. "We hope customers will take advantage of the service and share their feedback with us, so that we can build on our key learnings from Cleveland and further refine the offering in preparation for a national launch." Any readers in the Seattle area planning on taking advantage? 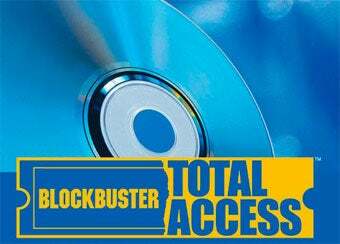 Are any of you even renting movies from Blockbuster anymore?